Telling a revision of the legend of Erik the Red, Arak, Son of Thunder told the story of Arak of the Quontauka tribe. 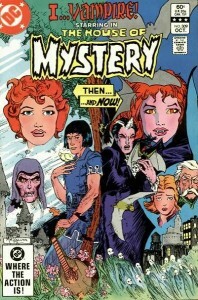 Star-of-Dawn of the Quontauka was attacked by an evil serpent spirit only to be saved by the god of thunder He-No. The pair would wed and produce a son in Bright-Sky-After-Storm, a mortal touched by the energies of a malicious spirit and righteous god. Star-of-Dawn would return to her people with her son only to be attacked by the serpent spirit’s cult. He-No would intervene but would only manage to save his son. The youth took a raft to escape and set out to sea where he was rescued by vikings blown far off course. The crew’s captain wore a necklace honoring the god of thunder Thunor which Bright-Sky-After-Storm recognized to be similar to his father’s symbol. One of the crew adopted the youth and named him “Erik” which the child mispronounced as “Arak” (taking the title “Son of Thunder” after his father). Arak would join the crew as a raider only for his adopted kin to be slain by the sorceress Angelica (who would largely become his nemesis beside the serpent spirit). Arak would come into the employ of Carolus Magnus (taking “Red-Hand” as his last name) where he would befriend Malagigi the Wizard, Valda the Iron Maiden, Josephus the Wandering Jew, Satyricus the Satyr, Brunello the Dwarven Thief, and Alsind the Arabian Prince (the inspiration for literature’s Sinbad) before learning his native people yet live and decided to journey to find his homeland. 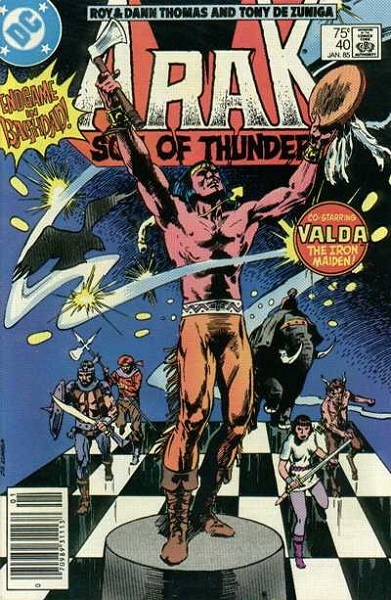 Although ultimately this journey meant parting company with his friends (and his true love Valda), Arak returned to his people and lead them to a peaceful existence in northern Canada. As Arak laid dying of old age, his father came to him to tell him one of his descendants would become a savior to his tribe (providing a mystical fox pelt to the tribe before leaving). Around the time of World War II, that savior would be Flying Fox who fought the Nazis and joined the All-Star Squadron. Later, someone seemingly unrelated to Arak would take his name but with the title of “Wind-Walker” as a member of the group Helix. Valda would emerge in the present day but thus far no explanation has been given as to how such is possible (be it time travel, immortality, or whatever else). When America sought independence from Great Britain, many heroes rose up from the colonies to heed the call for freedom. Arguably one man who stood above most in this regard was Thomas Haukins, better known by his nickname Tomahawk. Earning great recognition while serving under Major George Washington during the French and Indian War, Tomahawk would become invaluable during the American Revolutionary War. 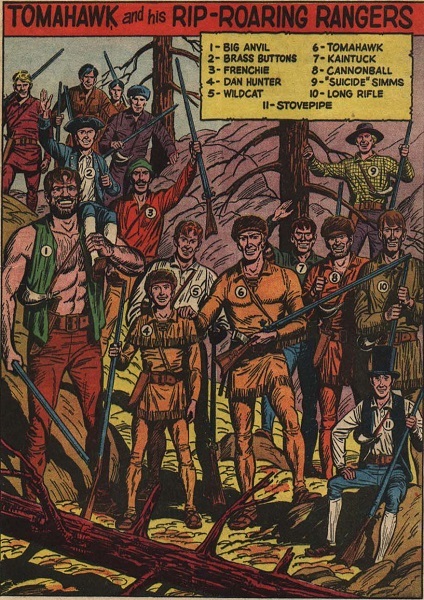 An adept guerrilla soldier highly trained in many of the techniques and skills of the natives, Tomahawk formed his own unit known as the Rangers which included his second-in-command Cannonball, best friend Stovepipe (after the large stovepipe hat he wore), time-displaced youth Dan Hunter (Rip Hunter’s cousin), Big Anvil, Brass Buttons, Frenchie, Wildcat, Kaintuck Jones, “Suicide” Simms, Long Rifle, and Healer Randolph. Tomahawk would later get help from Miss Liberty, a red, white, and blue stars and stripes clad masked heroine who was secretly nurse Bess Lynn (ancestor to heroines Liberty Belle and Jesse Quick). Tomahawk’s arch-nemesis was the British spy Lord Shilling who was a master of disguise and agent for Vandal Savage. Following the war, Tomahawk would settle down for a while and marry Apache princess Moon Fawn and raised their son named Hawk who would join him on his adventures (and some time after that, another son in Small Eagle). With the founding of America, Benjamin Franklin wanted to compose an entity that physically manifested America’s ideals. Employing the aid of alchemist Taylor Samuel Hawke, a talisman was created that gave life to the being Minuteman (a precursor to the being known as Uncle Sam). In Gotham City, brothers Darius and “Mad” Anthony Wayne (Bruce Wayne’s ancestors) would fight to reclaim the settlement from the British where they were opposed by Sir Nigel Cobblepot (who settled in the city after the war and became an ancestor to Oswald Cobblepot). At some point following the end of the war, pioneer Waverly Sayre would become the latest Green Lantern of Earth (the second Earthling to bear the honor after Jong Li of 7th century China). 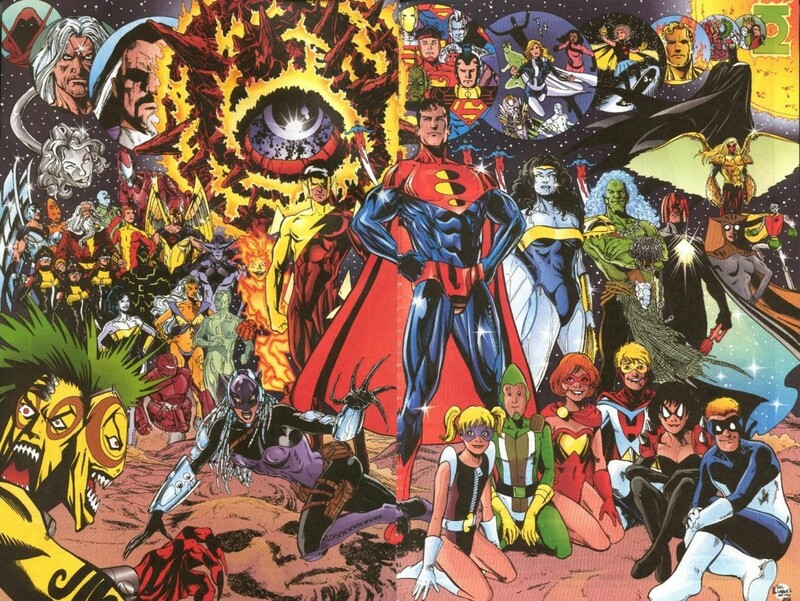 Next to the present day and World War II era, never has so many heroes emerged in an era of DC Comics as that of the days of the Wild West. 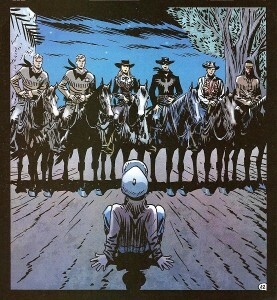 With little doubt, the most notable such hero was Jonah Hex. 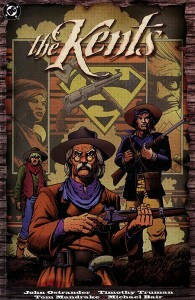 Sold as a slave to the Apache at age thirteen, Hex would save the life of the chieftain and be adopted into the tribe. However, at age sixteen, Hex’s adopted brother Noh-Tante betrayed him to the Kiowa (the Apache’s enemy) over their mutual affection for the beautiful White Fawn. Hex would survive but his tribe had moved on while he recuperated with an old trapper. Hex would later join the army and then the Confederacy during the Civil War where he befriended fellow soldier Jeb Turnbull. However, Hex soured on the treatment of slaves and abandoned his post in hopes of being captured and waiting out the war. In Union hands, Hex refused to provide intelligence on his unit but an orderly was able to distinguish where he came from based on the clay on his boots and his horse’s hooves. Many of the Rebels would be wiped out, including Turnbull, as the survivors blamed Hex (as Turnbull’s father Quentin would became Hex’s arch-nemesis). Eventually, Hex would find his tribe and reveal Noh-Tante’s betrayal. Following a confrontation, Hex would kill Noh-Tante and be branded on his face with the “Mark of the Demon” and exiled. Hex went on to become arguably the best bounty hunter in the west. 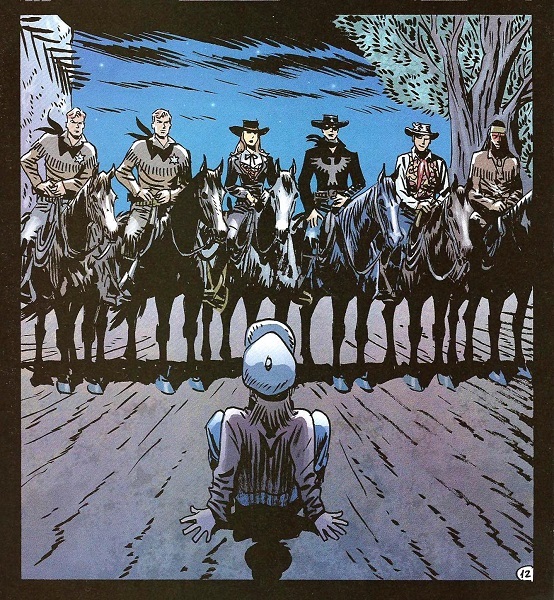 Numerous other heroes emerged in the west, names such as Vigilante (displaced in time), Johnny Thunder, Nighthawk, Pow-Wow Smith, Don Caballero, Roving Ranger, Strong Bow, Trigger Twins, Whip, “Trail Boss” Matt Savage, Madame .44, Super-Chief (already over four centuries old), Bat Lash, Firehair, Hawk (Tomahawk’s son), El Diablo, Scalphunter, Cinnamon, and the first Uncle Sam. At times, the various heroes would team-up such as when they were employed by Prussian Baron Otto von Hammer (father of WWI fighter pilot Enemy Ace) to obtain the Claw of Aelkhünd and hired as bodyguards by the Illuminati for Mexican leader Porfiro Diaz where eventually they would come to be known as the Rough Bunch (as Johnny Thunder would marry Madame .44 and Nighthawk wed Cinnamon). Also of note, Silas Kent and his sons Nate and Jeb of Boston moved to Kansas to bolster the abolitionist movement. 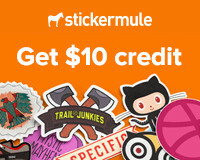 Silas would lose his life to Border Ruffians as Nate became a sheriff and Jeb a bandit. Jeb would lose his life to his illegitimate son as Nate moved to Smallville and became an ancestor to Jonathan Kent (Clark Kent’s adopted father). 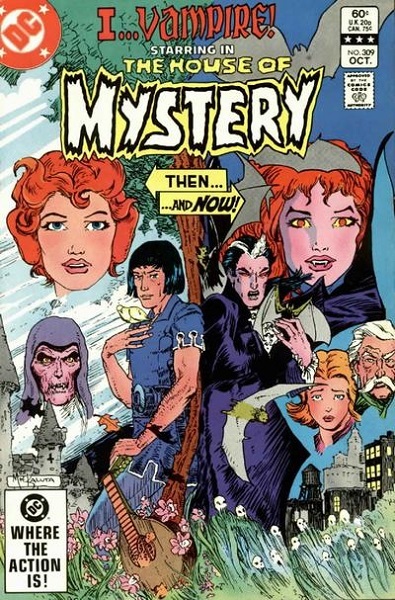 Alan Wayne (Bruce Wayne’s ancestor), Theodore Cobblepot (Oswald Cobblepot’s ancestor), and Edward Elliot (Thomas Elliot’s ancestor) would become known as the founding fathers of Gotham City around this time (as a fourth in Cameron Kane, a possible ancestor to Kate Kane, went unrecognized). Green Lantern Abin Sur would be forced to land on Earth in 1872 to recover from a battle which led to his temporarily making sheriff Daniel Young the third Earthling Green Lantern in the planet’s history. Sur would return some years later in pursuit of an outlaw where he would team with Hal Jordan’s ancestor Marshall Henry Lee Jordan. Outside of the comics, Ra’s al Ghul would be tied to this time period with the construction of Wonder City and experimentation of Solomon Grundy in Batman: Arkham City and the episode “Showdown” of Batman: The Animated Series which featured Jonah Hex. Known as the Great War, World War I saw Germany align with Austria-Hungary for control of Europe and then the world. For DC Comics, this time period was explored with the character of Enemy Ace. 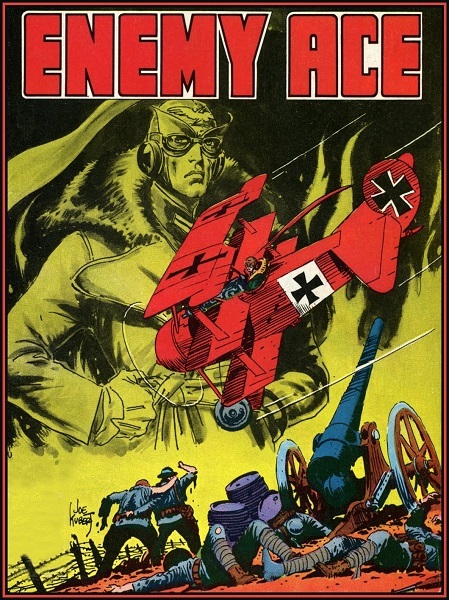 Inspired by the Red Baron, Enemy Ace was Prussian Baron Hans von Hammer, aka the Hammer from Hell, whom was the ace of the German Air Force. Von Hammer was a lonely, solitary man who took no pleasure in his part of exercising war due to his great skill as a fighter pilot. However, he was undoubtedly the greatest pilot of the Central Powers and thus was ordered to engage in many battles becoming a living terror in the air for his foes. Still, von Hammer was a man of honor and would defy his orders should they go against his code of ethics (such as sparing defenseless targets). While having no equal in the skies, von Hammer maintained a rivalry with the French pilot Andre de Sevigne, known as the Hangman who wore a noose around his neck. Enemy Ace would also face American Lt. Steve Savage the Balloon Buster (named for his penchant for destroying dirigibles) and Britain’s St. George (who believed himself the reincarnation of St. George and wore a full suit of armor in combat). Surrounded constantly by darkness, von Hammer would escape his duties by hunting in the Black Forest where he was joined by a black wolf (considered by the baron as his only friend). 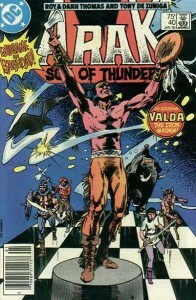 Enemy Ace would survive the war, at one time coming into conflict with Vandal Savage and Miss Fear on Dinosaur Island. Von Hammer would also serve Germany during World War II despite his advanced years but eventually saw firsthand the result of the Holocaust and incited mutiny against the Nazis with his fellow countrymen. Hans von Hammer is the uncle of the vile Anton Arcane (arch-nemesis of Swamp Thing) and great-grandfather of Ilsa von Hammer. While Europe was ravaged by war, a conflict of another kind raged in the shadows. Andrew Bennett was a nobleman in Queen Elizabeth’s court in 1591 before being bitten by a vampire. Transformed, Bennett fed on animals to slake his thirst but at the urging of his lover Mary Seward, he turned her as well so they could be together throughout eternity. However, Seward completely lost her humanity and became the Queen of Blood, forming a cult called the Blood Red Moon. Bennett henceforth dedicated his eternity toward extinguishing vampires from the face of the Earth blaming himself for the atrocities Seward and her cult perpetuated. In the 1900s, Bennett began to seek help in his crusade. Edward Trane would join him only to be captured by the cult. Bennett had tracked Seward to Russia around the time of the Great War. His former lover had attacked a couple leaving their son Dmitri Mishkin to be found by Bennett who took the child in and taught him how to hunt vampires. Mishkin would be Bennett’s longest lived ally, surviving to be an old man before a confrontation with his mother (made a vampire by Seward) resulted in both of their deaths. Seward would eventually meet her end thanks to Bennett’s partner Deborah Dancer while Bennett would be destroyed only to be resurrected due to the efforts of Dancer.